As promised, there will be more giveaways this year. I meant to do this earlier, but time is just flying by! If you do items 3 or 4 on the list, please email a link to your post/blog at keepitthimble@gmail.com so I will know to add these entries to the hat! The deadline for entering Wednesday night, April 20. The winner will be selected randomly from all entries early Thursday morning. This entry was posted in Giveaways, Purses and Totes. Bookmark the permalink. I am looking forward to visiting your shop when I visit my daughter, Kim Mohr of Cary NC. You rock, girl! This is so cute and a perfect color. I will try to enter all four times. Super cute – you know I adore pink! Love the purse and it is perfect for Spring!!!!!! Very nice job!!! Love the pink purse. Please enter my name. Thanks. Your bag is just lovely and pink and yellow are two of my favourite colour. Tulips are special to me as my maternal grandparents were born in Holland. It only takes a chance to win, so here I go. Thanks for doing this, Happy Spring! Rats! 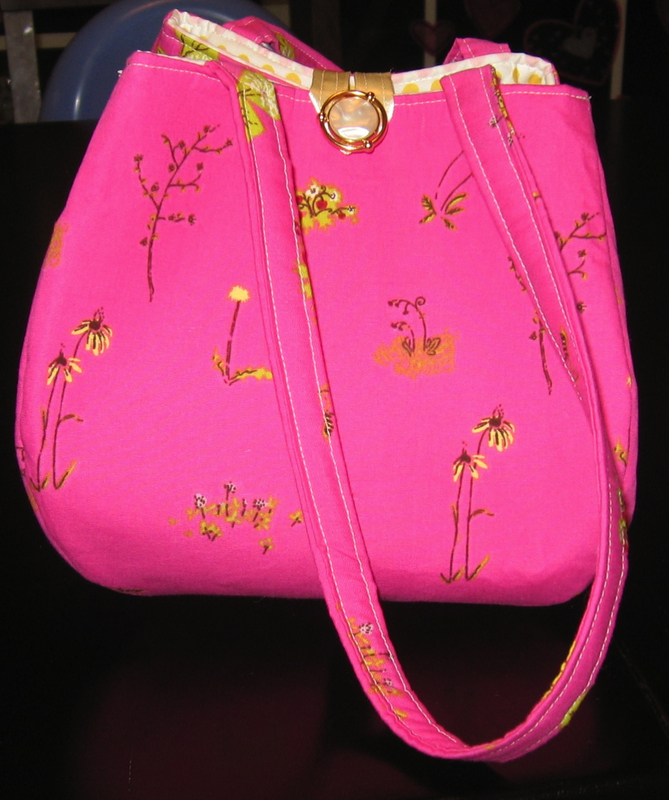 I’m too late to enter, but I do love this BRIGHT pink purse…. and it would’ve been the perfect birthday gift for my birthday Thursday!